The stock exhaust on most vehicles is what’s holding the extra power and torque of your engine from being unleashed. The main reason for this is that manufacturers make the stock exhaust systems with affordability in mind, as not everyone looks for torque and power. However, for those of you who do want to get the most out of their engine, investing in an aftermarket exhaust is the way to go. The main reason aftermarket exhaust systems, like the outback exhaust system for instance, perform better is the diameter size of the pipes. Larger pipes allow the engine to breathe easier, enabling the exhaust gases to exit the system in an unrestricted and straight-flowing manner, and allowing oxygen to enter the engine in the same manner. However, it’s also important that the diameter of the pipes isn’t too big, as that will make the exhaust tumble inside the tubes, still preventing perfect exhaust flow. There are a few things to consider when shopping for an aftermarket exhaust like the outback exhaust system. The stock exhaust manifolds are heavy, big and restrictive, as they’re typically made of cast-iron. If you replace them for a set of aftermarket headers, you’ll free up a lot of torque and power. By doing this you will also reduce some of the heat produced underneath the hood, as headers deal with heat much better than the stock manifolds. Knowing the fact that this is the nearest part of the exhaust system to the engine, bear in mind that any restriction caused by it makes other changes to the exhaust irrelevant. In some cases, some parts, like the headers, can be bolted onto the engine, but they won’t properly fit between the framerails without doing some modifications like lifting the engine a few centimetres off the engine mount first. This can apply to other parts, so discuss the exhaust upgrade with a local mechanic or dealer who has experience in this field. Not the animal, no – I personally don’t like cats at all. Here I’m talking about the catalytic converter, or shortly – the cat. Investing in a high flow catalytic converter will reduce most of the emission produced by your exhaust. A catalytic converter is required by law in most states and countries, and you won’t be doing anybody a favor by pulling it out, as you and your passengers would be the first ones to feel the effects of the toxic gases. The only way you can ensure your whole exhaust is compatible, is by completely replacing the old one with a new one. By leaving some of the old parts, you’re only moving the restrictive area from one part to another, which is counterintuitive. A completely new exhaust will offer better performance and it will come in a better package deal, keeping costs down. A big part of a successful industrial business is knowing when it’s the right time to upgrade the machines and the rest of the equipment. Changing your industrial supplies every now and then is not only about innovation, it’s also about reconnecting with the workers and understanding when wear and tear can affect your employees’ productivity and safety, because even though most industrial parts are made in accordance with the highest of standards, it’s always a good idea to look out for some red flags that need to be replaced. Choosing the right kind of material can bring longer lifespan to the business, so purchasing high-quality industrial supplies is of utmost importance for the employees in order to do their job properly and by the latest standards. This doesn’t only include motors, tools and all kinds of industrial sets, it also includes upgrading the employees’ uniforms and always staying up-to-date with the latest technology trends. The purpose of implementing new technology and supplies is always to improve efficiency, in one form or another. Aside from upgrading the existing industrial supplies and buying new machines, every business should also think about the team’s mindset. Making sure they are pleased with the job will bring about a lot more creativity, innovation and most of all, success to the company. But what does this actually mean? Among many other things, it means providing the workers with high-quality industrial supplies and all kinds of equipment that can facilitate their jobs and most of all, keep them safe. That’s why, before purchasing any industrial supplies, sit down with the workers and make a detailed list about what you should purchase and why. Listening to their opinions is of utmost importance when it comes to providing the business with the most useful tools. After elaborating what tools and machines the company needs, prioritize the equipment that both you and the workers consider important for the company’s success. But when it comes to buying the industrial supplies, probably one of the most important things to keep in mind is the equipment’s manufacturer. 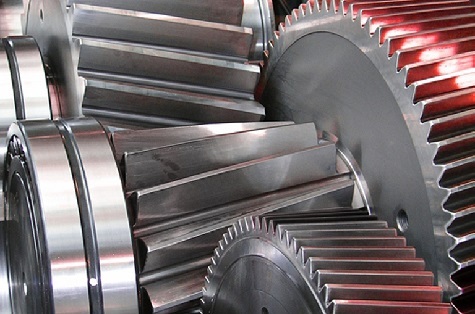 Although today’s market is filled with quality industrial suppliers from all over the world that offer many up-to-date machines and tools, every time you purchase something you should look for a manufacturer that offers great warranty, quality, durability and safety, so expanding your buying options every time you want to purchase something is of utmost importance for the progress of your business. At a certain point in our lives, we all find the need to use a hammer. Some people need these tools for basic household tasks, while others for big construction projects. However, with so many different types of hammers available on the market, finding the right one could be tricky if you don’t know what to look for. 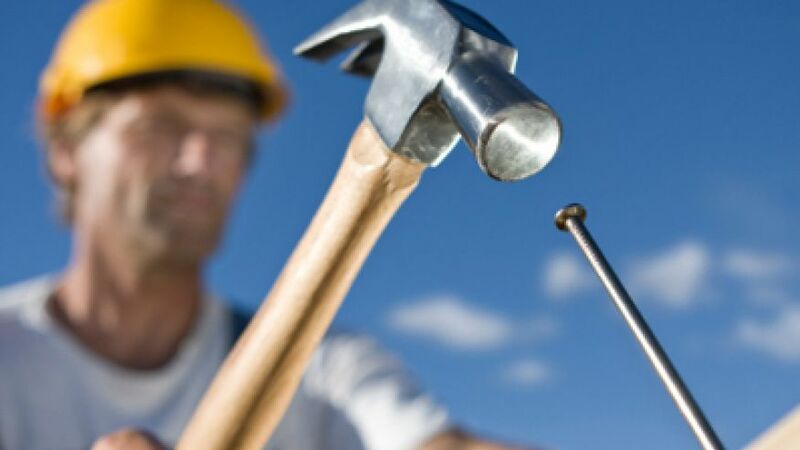 So before starting to shop, know that hand tools hammers can be used for certain tasks specifically, or they can be versatile and used to perform different tasks. 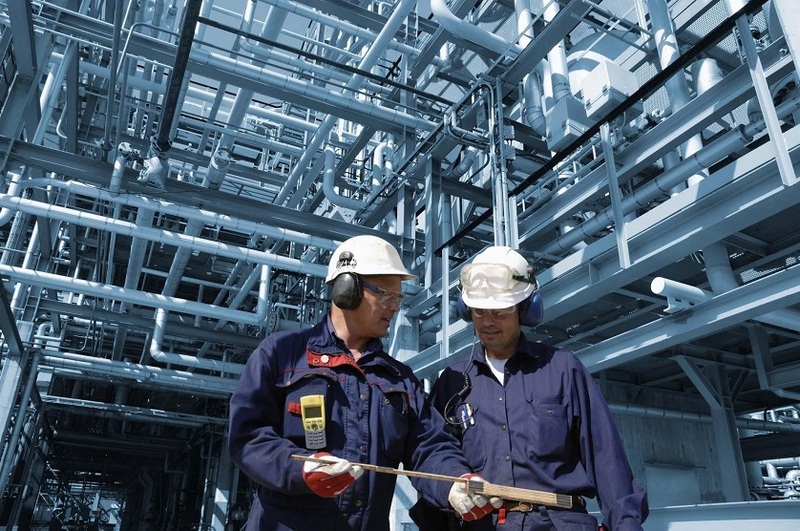 Installing signaling devices in hazardous areas is extremely important. Factories, warehouses, and petrochemical plants are only some of the many industrial sites where serious accidents can occur. That’s precisely why those places need to be equipped with hazard warning systems. Read on to find out what the three most important parts of such a system are. 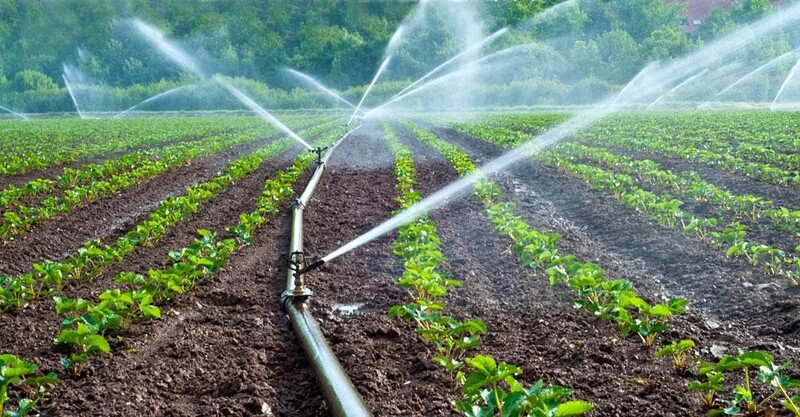 Irrigation can be simply defined as the practice of applying water to the soil in addition to what is available from rainfall to either enable or enhance plant growth or improve the quality of harvested plant parts. This can be done by pumping groundwater to the surface or divert surface water from one location to another. Irrigation is one of the most important environmental modification that humans have learned to perform and it has always had a huge historical and social impact. Some anthropologists and historians consider irrigation as the catalyst that lead to major engineering, political, and organizational activities that eventually lead to what is not referred to as “civilization”. Even the ancient Persian word for civilization “abadan” is derived from the word “ab” which means water. The earliest archaeological evidence of irrigation used for farming dates back around 6000 years B.C. in the middle in the Jordan Valley and it is believed that it was practiced in Egypt around the same time. Over the next millennia it spread to Persia, along the Mediterranean, and it was developed more or less independently throughout Asia in China, India, and so on. Irrigation was also widely used by the Inca, Maya, and Aztec in the New World. The mid 19th century marked the modernization of irrigation and its merging with areas such as physics, chemistry, mineralogy, biology, and the rise of essential sub-disciplines such as soil physics, soli chemistry, plant physiology, agronomy, and so on. In the first half of the 20th century the US, Soviet Union, Australia, and Africa, initiated huge government-sponsored programs to build dams, flood control, and irrigation in order to encourage stabilization and settlement of sparsely populated areas. Today in Australia, the traveling irrigator is one of the more popular choices due to its versatility, efficiency, and cost. The main benefits of traveling irrigators is that they are extremely versatile and mobile. You can easilly shift them around your property and irrigate various run lengths at different speeds. If necessary, you can also use low application rates. With water being a scarce resource in Australia, it is very important to use a high-quality travelling irrigator hose in order to transport water with minimum loss. A good travelling irrigator hose is a perfect blend of superior materials and top-notch construction techniques. 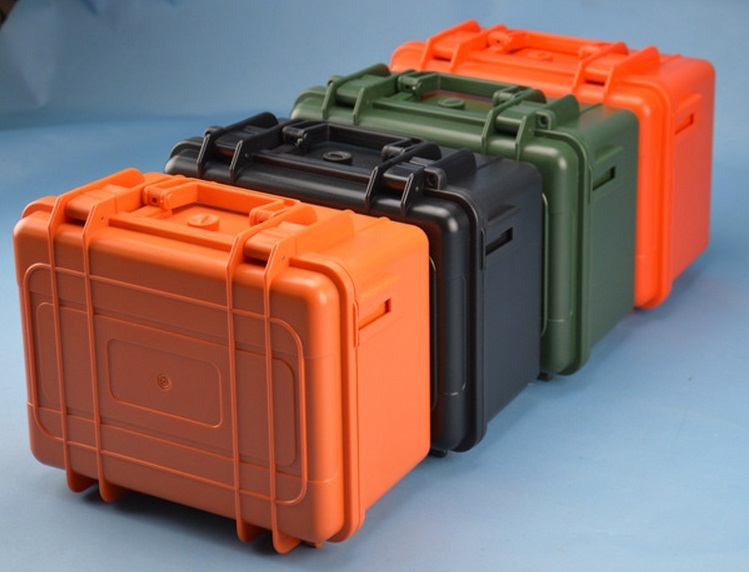 They are usually made of high quality polyurethane to ensure a high resistance to abrasion and chemicals. For increased strength and durability it is reinforced with a strong circular woven textile. These hoses are actually flat when they are not in use and can be easily stored on an irrigator or in a shed. They come in various shapes and sizes and top-tier hoses come with a 10 or more years warranty. Running a household is certainly not the easiest thing in the world, and as such it deserves more preparations. It’s one of the things that first shatters our dreams and brings us back to reality when we fly off the nest and become independent. For me it was definitely the aspect that made me think the life of a grown-up is not as amazing as it seemed to be back when I saw it through teenager eyes. However, unlike decades ago, nowadays we can rely on technology to help us out so it’s slightly different than life years back. When it comes to the household, proper managing doesn’t just refer to buying groceries, cooking, cleaning and paying the bills, but rather the ways you can manage to wisely reduce those bills too. Let’s take energy for instance, I hear a lot of people complain about the amount of electricity bills they pay, taking cooling and heating into account, and yet they take no measures in reducing them so here are the steps I took that helped me with this problem and hopefully they’d help you out as well. 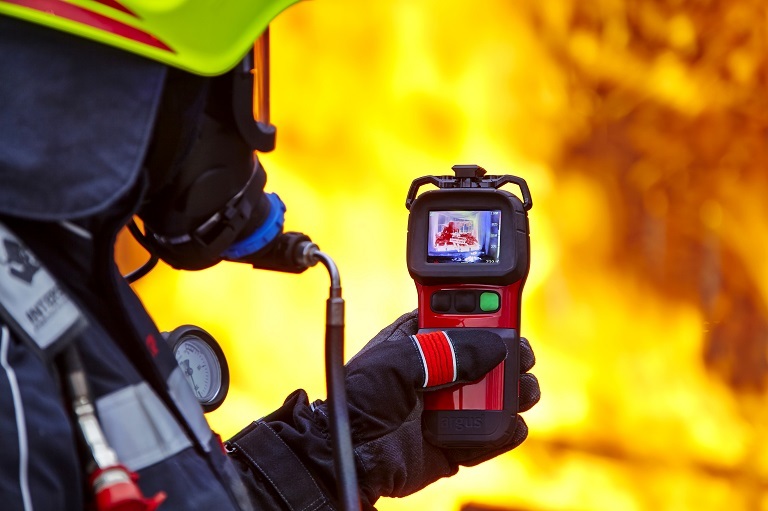 First things first, consider the power of thermal imaging cameras. These sophisticated devices have the ability to transform thermal energy into light due to the thermal sensitivity detecting even the smallest of temperature differences which are then processed and captured as images and shown on the display. I know what you’re asking yourself: weren’t they created for army use? They were, but their efficiency has made them useful at home too which is why they’re often used for home thermographic inspections. You can carry out such an inspection both with the interior and exterior, though I prefer the interior one as weather conditions can interfere with the exterior check-up. You’d be surprised to find out exactly how much heat loss is actually occurs, be it through doors, windows or walls thanks to building defects, including the machine systems that generate way more heat than they ought to. 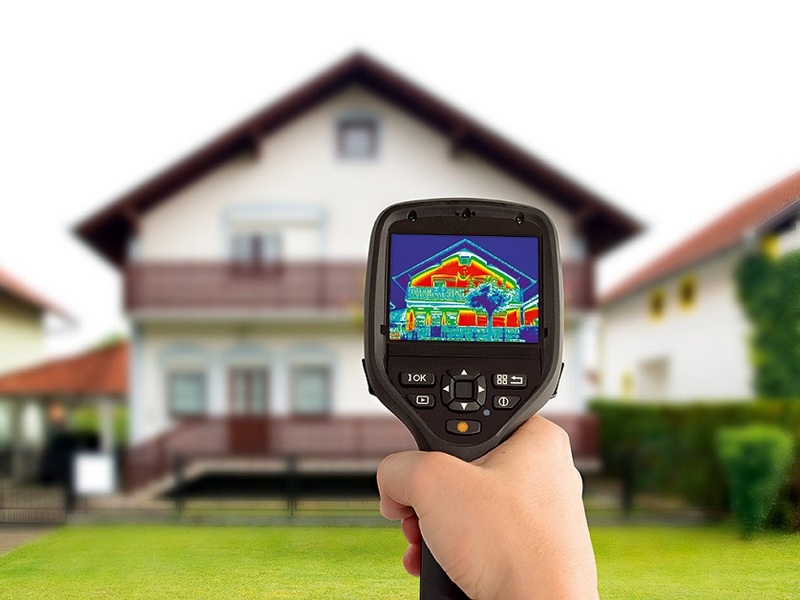 If you want to detect air leaks and heat loss and treat them in time, thermal imaging cameras are the must-have tools you can count on. Next, have you thought of upgrading your lighting? The trend of LEDs is a no-brainer considering LED bulbs turn on instantly, there’s reduced heat emission so you’d save on cooling, and they can save you more than 30% of energy right upon the upgrading. Goodbye high annual energy expenses! Once I upgraded to LEDs, I found out how eco friendly they are, reducing greenhouse gas emissions and not containing toxic mercury, and that makes me more than happy knowing I do something good for the environment. Last but not least, if you don’t like curtains or window treatments, or have removed them from your home, it’s time to give them another chance. Whether it’s curtains, blinds or shades, you can bet you’d notice positive changes with heating and cooling. When you get the optimal energy efficiency you can say you know how to manage the household well and following these steps, you sure would. When most of us think of communication we think of phones, the Internet, or just talking to each other in person. But sometimes we need to instantly convey a message in the simplest and most effective way possible. This need for effective communication with a distant party dates back to ancient Babylon. Early Babylonians used to equip guard posts with flame beacons enabling them to pass simple warning signs quickly without the need of a human runner to deliver the message. 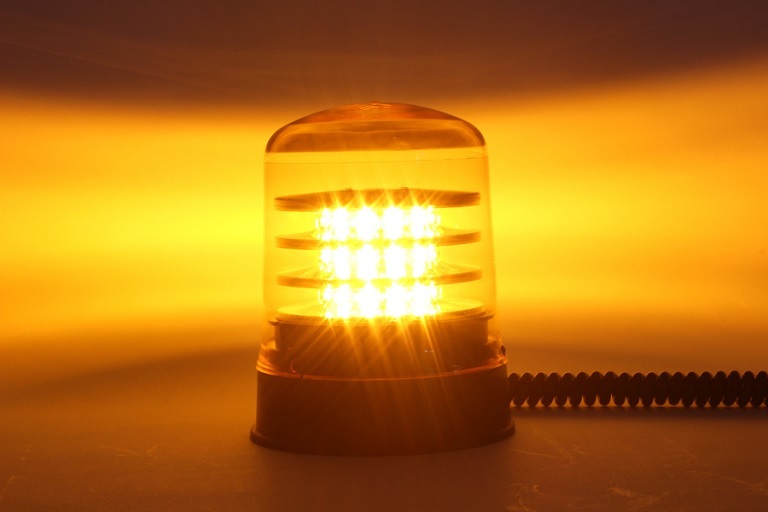 Basically, a beacon is a device that is intentionally designed to draw attention. With life so advanced nowadays thanks to technology, it’s not surprising an average person has a number of electronics at his or her disposal. There are those that fit in a pocket, a bag, a purse, bigger ones, smaller ones, sturdy ones and then there are also those more prone to damages. Of course you don’t imagine you’d have to face with either frequently repairing or replacing them altogether once you buy them, which is why you need to take proper care of them. More so when your profession demands it, be it photography, music, conducting electrical and equipment tests or scientific work. My favourite mantra to live by in days when I have tons of work to do? – Don’t work hard, work smart. It doesn’t matter how much time you spend doing something, if you aren’t focused on doing it right, it will probably take more time than it has to. That rule applies to many other things in life – just because you own a big warehouse, that shouldn’t mean that you shouldn’t organize it properly to maximize the efficiency of your business. By having a well organized warehouse management system, you reduce the time your customers wait for their products to be shipped, you lift a huge weight off the shoulders of your employees, and you can keep better track of all the products you own and organize them properly. These are just some of the many benefits that come with operating a smartly organized warehouse. However, in order to make it happen, you have to go through a few steps first. Before you start operating a warehouse, you need to plan and organize beforehand. How many products will you store? How big will the products be? Will you be using vehicles? These are some of the questions you should answer before you go any further. The purpose of the warehouse should be to streamline your business. A well organized warehouse should increase the productivity of your employers and help you keep track of their performance, which will give you direct visibility of the efficiency of your workforce. If you are unsure about any of this, consider contacting a company that offers warehouse storage solutions. As I previously stated, a big warehouse doesn’t mean an efficient warehouse. You can save space in many ways, but the most notable one is by utilizing vertical storage capacities instead of floor space. 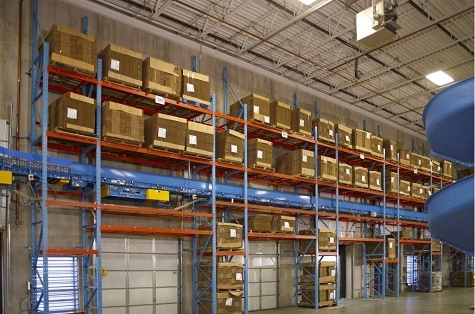 There are many types of racks, like pallet racks, that can be placed as high as the ceiling. Pallet racks are also made from high quality materials, which makes them safe. The safety of your employees and your products should be a top priority for you. Furthermore, they are very affordable, which makes them the top choice when it comes to picking warehouse storage solutions for your business. Errors are bound to happen in warehouse management, so you need to have a team prepared to adapt to the changes in the process. The demands of vendors and customers will vary, which will drive the shipping process. If a problem occurs, the warehouse processes should be reassessed to determine whether a change in procedure will correct the problem. Being flexible is crucial in order to meet the demands on the market. The most basic function of a planetary gearbox set is to change the revving speed of an engine while maximizing its output torque and any gear ratio. The gearbox, together with the engine is the driving mechanism of the car. It needs to be properly functional and kept in a good state to maintain the car’s reliability and avoid breakdowns. A high quality planetary gearbox set offers low backlash, high torsional stiffness and very high levels of efficiency, which also makes them great for industrial automation applications. They are also suitable for working in high torque applications where feedback is necessary. 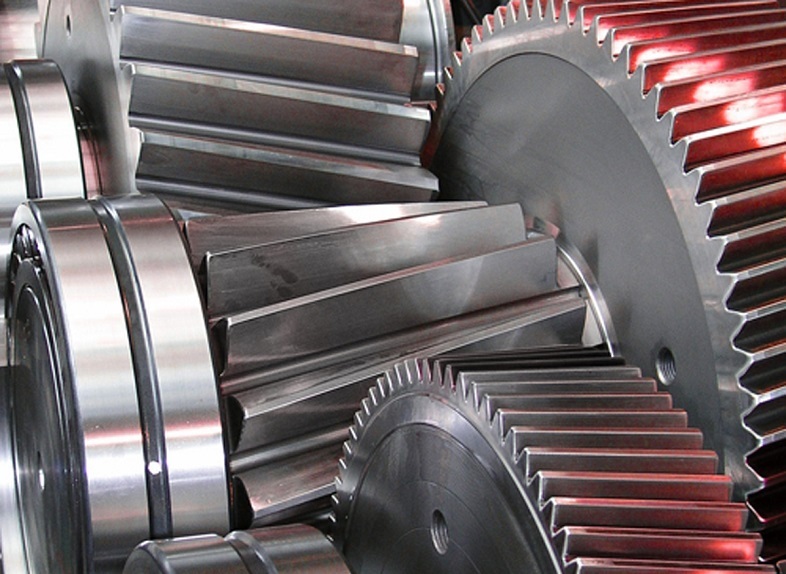 Planetary gearboxes are constructed from three gears: planet gears, ring gear and a sun gear. If you are looking for a tool that will measure the continuity, voltage, capacitance, resistance, current, and temperature, then look no further than a multimeter. While not all models will do the same thing, they generally work the same. There are a few things to look for when you are looking for multimeters for sale which includes necessities, nice extras, and things that you probably won’t use that much. 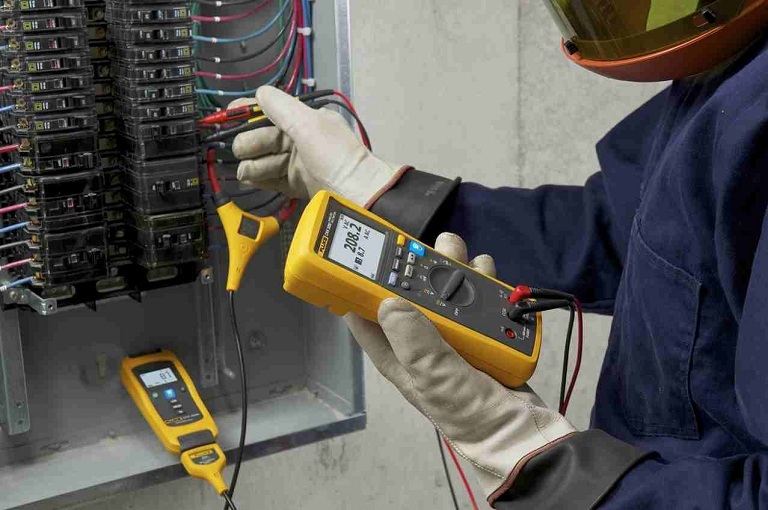 Below we will be going over what you should look for in a multimeter and how you can get familiar with the device so you can use it more easily. Any aspect of decorating your home is important. From the style of the furniture to the smallest pieces of décor. In all this arrangement, lighting takes a very important role. The type and design of lighting can either make or break the entire atmosphere in your living area, so you need to put more effort in the selection of it. 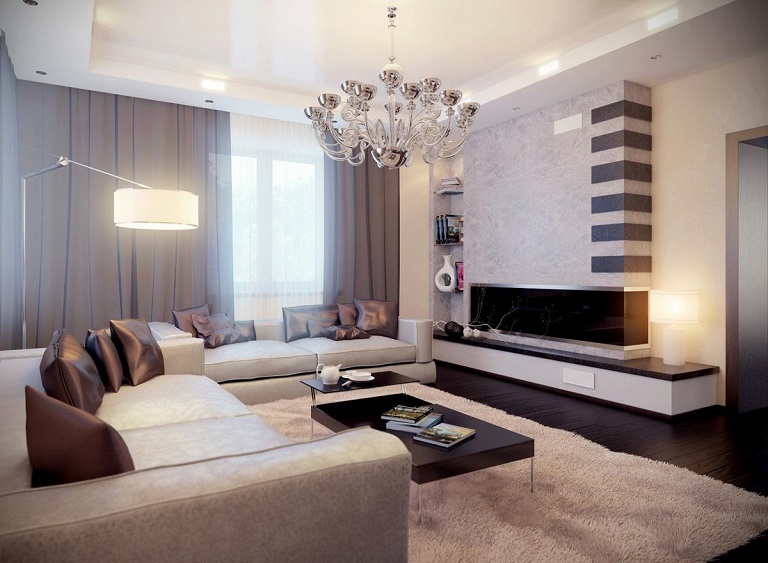 The right type of home lighting design should be both efficient and effective. Efficient, so you can use the least amount of energy but still get the effect you want and effective so it can crate a certain mood, provide security or illumination fro a specific task. Before you dive into the wide range of home lighting design options available, consider the type and amount of natural light that reaches the room. Main living areas, including the kitchen, should be face south-facing so that natural can keep the space bright and warm during the larger part of the day. Will there be furniture pieces, artwork, and architectural features? Who will be using the room? At what period of the day will it be used the most? From what direction does natural light enter? Once you answer these questions, you can start making the plan. Consider the placement of the light fixtures, light switches and the major furniture items. When you are done with the plan, you can start looking for the right home lighting design that will complement your home interior. Without any doubt, this is the most frequently used room in the home. When it comes to lighting, more and more people today are choosing to provide light for this room through a combination of table or floor lamp along with downlights. 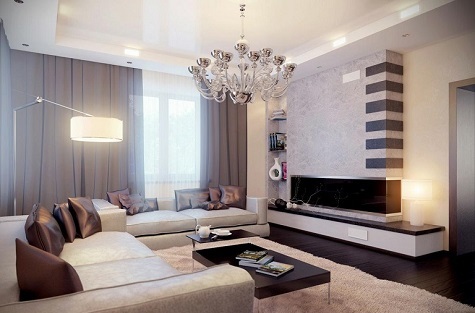 Chandeliers are also a preferred choice since for many people, the living room wouldn’t feel complete without one. You really shouldn’t bother too much with the lighting of this room in the since two table lamps placed on each side of the bed are enough to do the job. Installing light switches on the either side of the bed is also a good idea since this will give you the ability to control your light without the need of standing out of bed. Bathrooms allow a lot of creativity when it comes to lighting. Small or big, there are always those things you can accent, and include various options so that you can change the ammosphere as you desire. If you want to add some background lighting consider recessed downlights or you can use a light above the mirror. In general, cables are under immense temperature pressure because of the energy and heat that the flow of current through them emits. In order for extreme fire chaos to be avoided, the first thing to be taken into consideration is the choice of heat resistant materials for building those cables. There are various materials that can be used to provide insulation from high temperatures and make the cables useful. High temperature cables serve to withstand extreme temperature changes that come down to extremely strong cold and hot influences. They’re designed with a special core and a layer of insulation made from a specific type of material depending on the purpose of use of the cable. The main areas where high temperature cables are used include power stations, iron works, foundries and factories for cement, ceramic and glass. They’re also used in aircraft construction and shipbuilding, brickworks and design of kitchen appliances – basically everywhere where constant flow of current is included and the result may be a fire caused by an overheated use of the device. For these high temperature cables various types of materials are used in order to offer high functionality and safety. Among the most commonly used ones are silicone, rubber and fluorinated polymeric materials. The thing that distinguishes all of them is the specific area of application of each type: besides the aforementioned areas of use, heat resistant cables are also used in lamps and lamp holders in heat and air-conditioning systems and leakage monitoring systems. Each type of cable has its own specifics. In applications where the cable insulation is subjected to dangerous and extremely high temperature fluctuations, silicone-rubber insulated cables are used. These cables can withstand temperatures of up to +220 degrees Celsius, but only on short periods. The lower range can go down to -60 degrees Celsius thanks to the weathering resistance these cables have, which is excellent. These are mainly used for applications in iron and steel works since they are also halogen-free. Also known as teflon cables, these are generally used in applications such as control cabinets that are subjected to high temperatures, like kitchen fitments, measuring appliances, heaters, brick-works and similar. However, these aren’t as heat resistant as the silicone-rubber insulated ones; their temperature range is from 100 degrees Celsius up to 205 or 230 degrees Celsius in some cases but for very short periods. 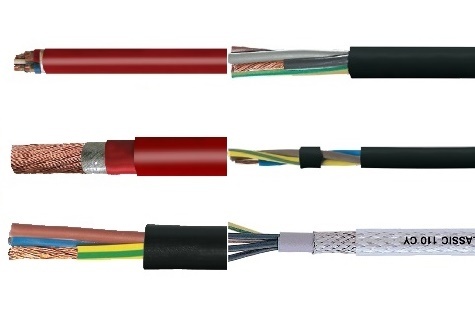 Besides these most popular types of cables and most frequently used ones, the market also offers variations of them with even more great features for an even higher degree of protection. With the addition of other materials like nickel, copper and steel, the cables gain even more strength and resistance features. When looking for a way to maximize the storage space in your warehouse, or other storage setting facility, the right way to do it is racking. Racking will benefit you in many ways – it will increase safety, productivity, it will free up more space which will result in being able to place more products. On top of that, industrial racking is simple, safe and very efficient. 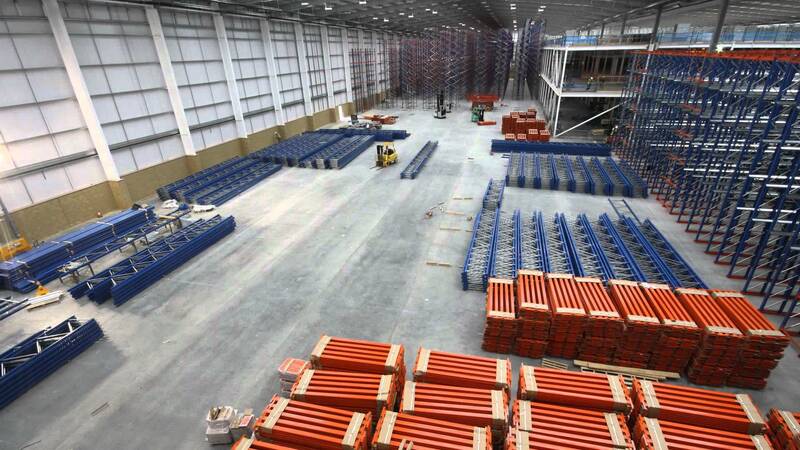 When looking to construct a pallet racking system, there are some things you need to take into account. You want to buy from a reputable and reliable company that has experience in industrial racking. These companies supply durable, high quality and affordable pallet racks that ensure you will optimize your storing facilities to fit your needs. The pallet racks are made of high quality materials that are especially designed to withhold heavy items and be stable at the same time. 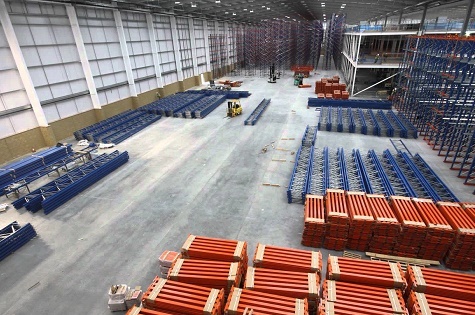 Let’s take a look at what else a quality pallet racking system will provide you with. This is a top priority. For this reason, you want to buy from a reputable shop that has much experience in this particular industry. You don’t want a heavy crate to fall off and injure your employees or yourself. A quality pallet rack with the right capacity will prevent this. Plan out your racking carefully to avoid these mishaps. Also, make sure your employees follow all safety measures. Keeping track of your products is important. 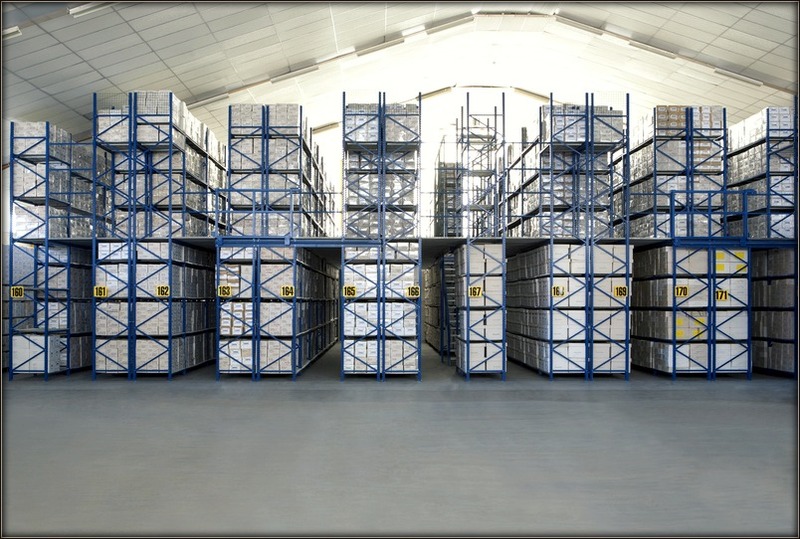 With proper racking, you will know the quantity of a certain product you have left in your warehouse. Moreover, your employees will have an easier time locating and shipping products. Pallet racks can usually be accessed from both sides, so this makes them super convenient. This is the biggest advantage of pallet racking systems. You need to take into consideration how much free space you have in your storage facility, that goes for both floor space and height. 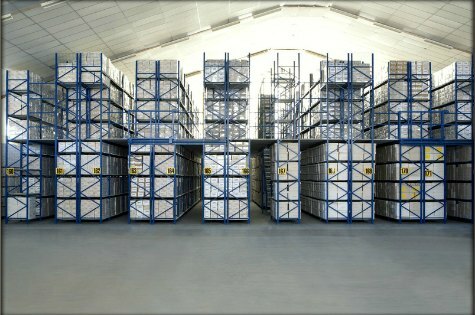 If you are limited with floor space but your warehouse is vertically large, no problem, add racks on top of each other. 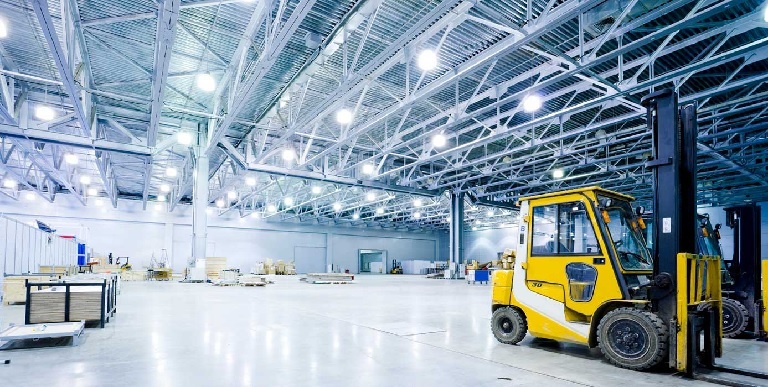 Having enough space for forklifts to move around can be a game changer as being able to store and bring down products with a forklift increases productivity. 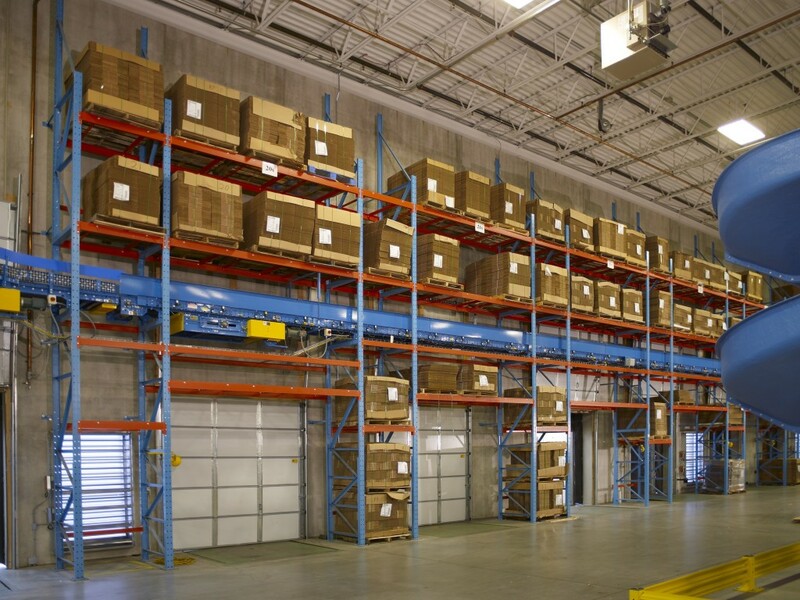 If you have any questions, simply contact a company that specializes in industrial racking, and come up with a plan to maximize your storage facilities’ capacity and effectiveness. High quality racks will last you for many years and your business will run more smoothly and be more profitable. If you are someone who is looking for an efficient plug in energy meter, look no further than the PM-10 plug in power and energy meter. This piece of technology is a comprehensive plug in power monitoring device which is known for being easy to use. The standard design has been designed to be able to plug into a standard 10A power outlet from where it can instantly measure and monitor a wide range of electrical parameters. Some of the things the PM-10 energy meter plug can display includes real power consumption, power factor, voltage, supplied power, current, and much more. If you wish to know more about what the PM-10 can do then keep reading below. This nifty little device can measure a whole range of electrical parameters that are related to any kind of plugged in device or appliance. As stated above some of the things that the PM-10 can display includes real power consumption, power factor, energy consumption, supplied apparent power, frequency, and a lot more. Another great feature that you get with the PM-10 energy meter plug is that you can input the cost per kilowatt-hour of electricity. By inputting the cost per kilowatt-hour you can easily and effectively measure the cost of any plugged in device or appliance. This same feature can also easily measure that device or appliances greenhouse gas emissions. One of the well known features about the PM-10 is no doubt the back lit LCD screen it comes with. The LCD screen that comes on the front of the PM-10 can display a number of things all at one time. More than that there are also different screen settings for greenhouse gas emissions, cost, energies, meter mode and more. 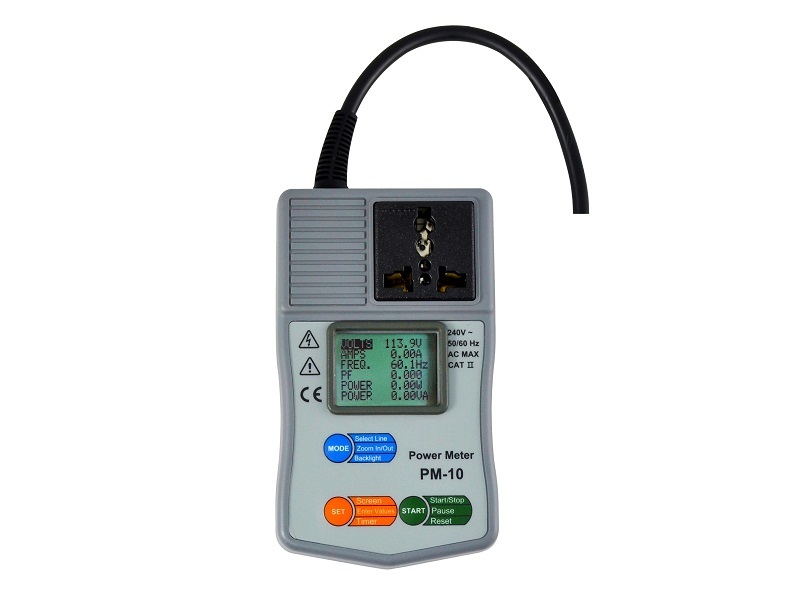 The front of the PM-10 energy meter plug has all the functions you need in one spot. There are 3 soft touch buttons that control modes, settings and functions. There is also a receptacle set in the front which is able to accept a variety of different plugs from different countries. There is a whole range of features that you might find useful all of which we will go over. 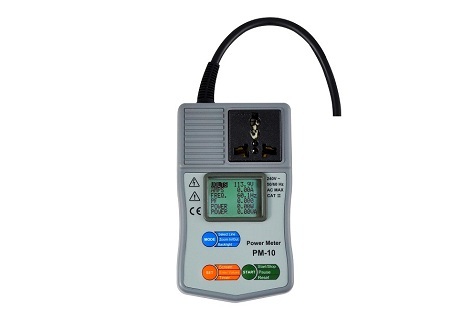 There are so many different features that come with the PM-10 energy meter plug which includes it being user friendly, light weight, and compact. It is simple and plugs into any 10A power outlet, it comes with a user friendly interface, measures energy consumption as well as running costs, measures both active and apparent powers, can monitor appliances up to 2500W, comes with a warranty and great customer support, can measure more than one thing at one time, accepts a range of plugs, measures power factor and comes with calibration protocol. 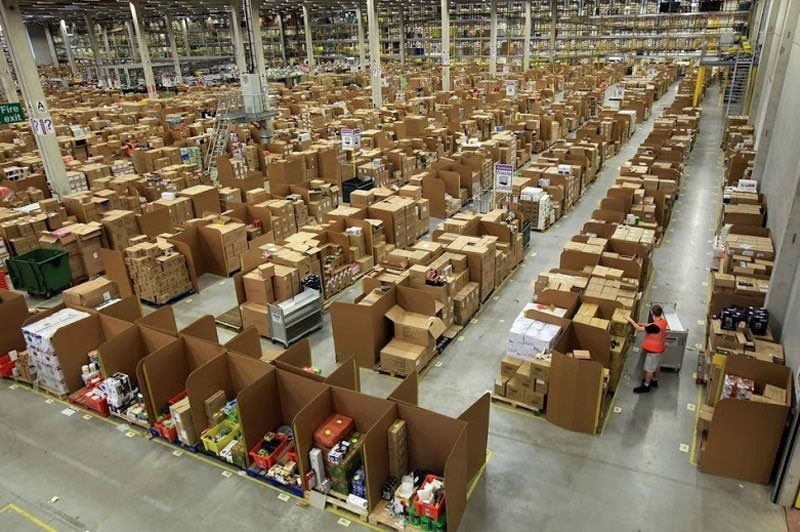 Companies in which managing big warehouses and a very large product palette is the centre activity know it best: organization is key and the main weak spot in their efficiency and speed of work. If there’s just a slight slow-down in the entire work procedure, the effect is instantly felt on the monthly income: it’s lower, and that doesn’t make the managers, nor the stockholders happy. Not to mention the situations in which a product gets damaged because of improper placement or an inconvenient location in the warehouse; that’s loss from the very start. And finally, let’s not forget the safety of the workers whose main job is to manage the product palette in warehouses; one wrong maneuver in managing the situation can be a serious health hazard which eventually will fall on your account. While the solution is obvious, the details are a little more specific and require more attention. Normally, you’d solve the organization problem in your warehouse by installing a shelving system with a sturdy construction and of a considerable quality – one that would increase the level of efficiency in your work. And the detail to not neglect here is the use of an Ls frame. While a Ls frame is nothing largely different than other types of frames in shelving systems, it definitely is the type of shelf worth considering. Here are a few points to think about. What is a Ls frame? This type of framework serves the same purpose as other types of frames in the shelving business: to support rails and racks. You can find them made of various materials, but mostly they’ll be made of stainless steel, aluminium or iron – as the hardest and sturdiest of metals for supporting a large amount of load. Some of them are even powder-coated so they can offer more visibility which contributes largely to the level of safety of workers who manage the shelves. Open frame racks – these have no doors and no sides. These shelving systems rely completely on the support of the frames and the strength of the rack surface to withstand heavy loads. They are mainly used where physical security of the load placed on the racks isn’t a priority and airflow doesn’t need to be controlled that much. Rack enclosures – rack enclosures are very much like rack cabinets with doors, removable side panels and vertical mounting rails. Wall-mount racks – as their name suggests, these are attached on the wall. Ls frames can be used for these racks, but have in mind that the whole construction needs to withstand on the wall and support the load placed on them. Because of that reason, these systems aren’t designed to hold very heavy loads, despite the strength of the frame.